Help Create the Ultimate Holiday Wine Shopping List – Ends in 2 Days! 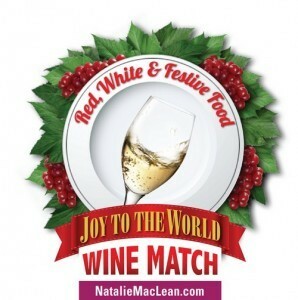 Natalie MacLean has created the first ever peoples’ choice awards to crowdsource great holiday wines under $25 via social media. It’s titled “Joy to the World Holiday Wine Match.” Wine lovers have already started nominating and voting for their favorite wines so they can pour like Santa, but save like Scrooge. “Whether you want a delicious dinner party wine or a special bottle to give as a gift, this is a list that you’ll be checking more than twice for both the naughty and the nice,” says Natalie MacLean, editor of a popular wine review site. Nominations and voting close November 21st, so hurry! This is when the top 5 wines from each category will be moved to the final phase for just 12 days. Winners will be announced December 3rd, giving wine lovers suggestions for the best bottles under $25 to crack open during their holiday gatherings and meals. Go here for all of the details. Previous articleCute Outfit Ideas Featuring the New Argoz Scarf Line!